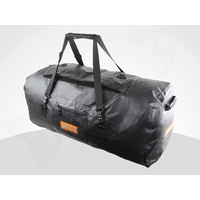 This large travel Duffle Bag has been especially designed to transport your gear on or in your vehicle. 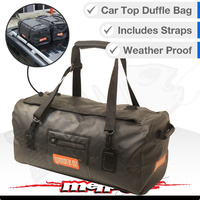 This Auto Duffle Bag works great for off road gear, beach gear, clothing, camping gear, food & snacks, sports equipment; you name it. 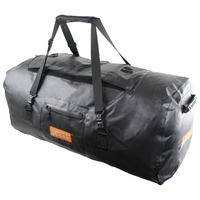 This Heavy Duty Bag has many uses. 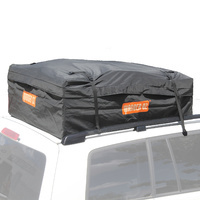 Attach to your Roof Rack, Tie to your Travel Basket, stick it in your Boot, or throw it on the back Tray. The included straps will attach the bags to any of these cargo carriers. 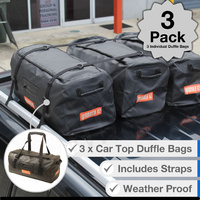 Designed to accomodate multiple Duffle Bags on the roof of compact cars, sedans, wagons, crossovers, SUVs and Jeep Wrangler hard tops with or without roof racks. 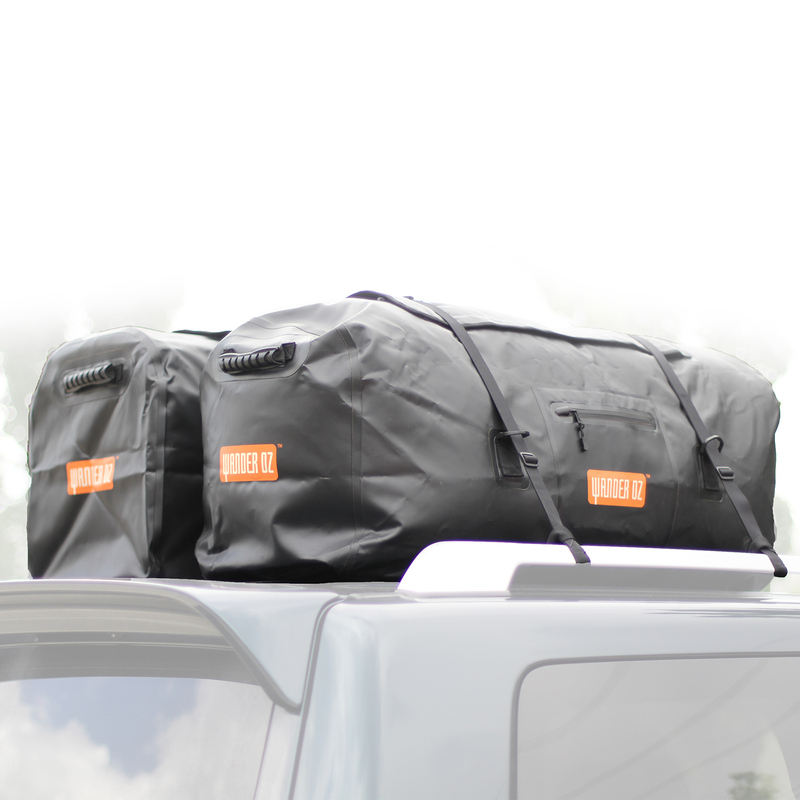 Connect the included straps to a roof rack or roll bars, then thread through the bag's D-Links. This Travel Duffle Bag is constructed from PVC Coated Mesh (a stiffer polyester re-enforced PVC) to handle the rugged Aussie conditions. 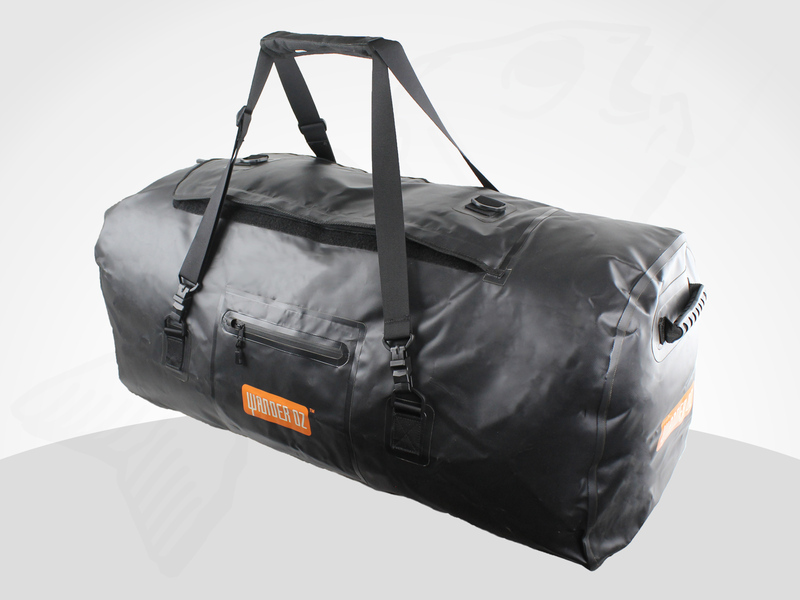 The bag features welded seams, a hook-&-loop-close main zipper flap, and a urethane coated side pocket zipper to keep water out. The bag features two end handles and a balanced 4-point shoulder strap. The bag’s extra wide zippered opening makes packing a breeze. Hugh bag with great capacity . I love the ease when opening and closing the bag and the great straps and handles.